This summer, the people of Aotearoa New Zealand will receive a generous gift. 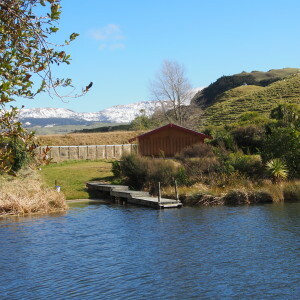 Four Department of Conservation reserves in northern Hawke’s Bay will be returned to the rightful owners – Hapū represented by the Maungaharuru-Tangitū Trust. 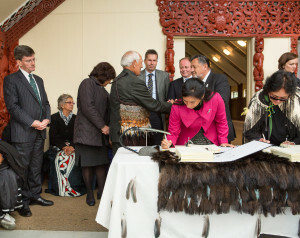 The Hapū will then gift the reserves to all the people of Aotearoa, one week later. The sites include Boundary Stream Scenic Reserve, Bellbird Bush Scenic Reserve, and the balance of Opouahi Scenic Reserve in the Maungaharuru Range, as well as the coastal Whakaari Landing Place Reserve. The return of the reserves in recognition of Hapū rangatiratanga goes some way to redress greivances that arose a century and a half ago. On 12 January 1867, 150 years ago today, the Crown unjustly confiscated the majority of the Hapū takiwā (traditional area), including the reserves. In the Maungaharuru-Tangitū Hapū Deed of Settlement, the Crown apologised for “the immense prejudice it inflicted on the Hapū by the proclamation of a confiscation district”. Among other things, the Crown also apologised for its acts and omissions which impacted on Hapū lands, fisheries and other taonga. 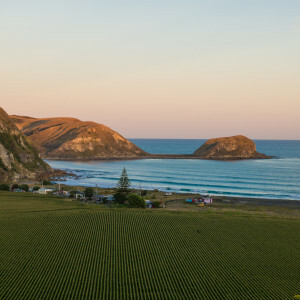 The reserves that will be vested back to the Hapū represent a glimpse of the native bush and wildlife that flourished in Hawke’s Bay in the 1800’s – and hopefully a vision for what it could once more look like in the future. Boundary Stream Mainland Island, Bellbird Bush, and the Opouahi Scenic Reserve are encompassed by the ground-breaking Poutiri Ao ō Tāne project, an ecological and social project that began in 2011 to ‘restore the cloak of Papa-tū-ā-nuku’. Poutiri Ao ō Tāne aims to protect and restore the landscape through intensive pest control and habitat restoration. Species such as kiwi, kākā, kererū, and kōkako have regained a foothold in this area, which also provides critical habitat for a wide range of native insects and plants. 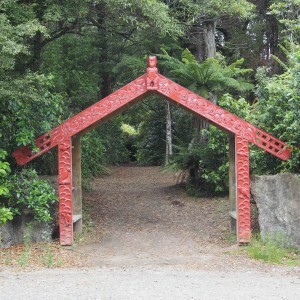 Ngāti Kurumōkihi are the kaitiaki (guardians) of these reserves and have cultural, spiritual, traditional, and historic associations with the environs, waters, associated land and flora and fauna. Whakaari Landing Place Reserve contains Whakaari, an iconic and significant pā of Ngāti Marangatūhetaua (Ngāti Tū), including Ngāti Whakaari, and Ngāi Te Ruruku (ki Tangoio). Whakaari is recognised as an outstanding natural feature. The four reserves and their environs are integral to the distinct identity and mana of the Hapū. More information on the significance of the reserves can be found on the Maungaharuru-Tangitū Trust website at www.tangoio.maori.nz/gifted-lands. “This koha of reserves to the people of Aotearoa is not only an acknowledgement of the traditional Hapū ownership and the illegal confiscation by the Crown, it also signifies the preparedness and generosity of the Hapū to the Hawke’s Bay community and our eco-system. This week’s Hapū celebrations are an opportunity to enhance our kaitiakitanga through sharing history and stories, enjoying each others company in our environment and further evolving our Hapū aspirations.” Shayne Walker, Kaiwhakahaere Matua – General Manager of Maungaharuru-Tangitū Trust. The reserves are taonga (treasures) of the Hapū and through this generous gift on 18 January 2017 will be shared with the people of Aotearoa New Zealand forever. To commemorate this gift there will be events and activities running from Saturday 14 January 2017 to Wednesday 18 January 2017. Please click here for details of events for our Hapū.